Crisp lines, wide range of engines, stout truck stuff. Dizzying configuration list should come with an interpreter. 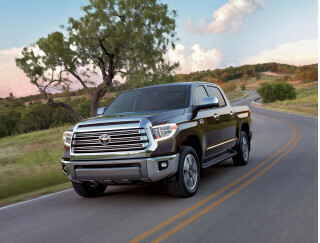 What will six months and a new Tundra bring? The whole notion of what a pickup truck is, and what it is supposed to do, hasn’t changed all that radically since 1918, when Chevrolet created its first pickup. Those first pickups came from car chasses and — wouldn’t you know it? — today’s GM trucks are circling back to cars for inspiration in their interiors, in their smooth and effortless power, and even in their fuel-saving technology. Chevrolet’s new Silverado takes the trend of truck refinement and carries it eons beyond the last rendition, which stuck around too long while GM dithered over its future. But while it’s easily one of the most sophisticated trucks now on the market — and that includes the current version of the Toyota Tundra, the Ford F-150, the Dodge Ram and the Nissan Titan — the new Silverado is also one of the most capable when it comes to truck duty. New from the ground up for the first time since 1998, GM says the Silverado tops the full-size truck segment for fuel economy (20 mpg or more on the highway, they promise), interior room, horsepower (367), and towing capability (10,500 pounds). 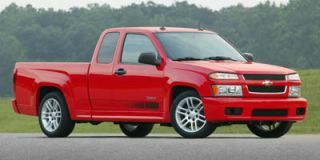 Now, getting a grip on the broad Silverado spectrum is like trying to describe all Americans with one set of adjectives. 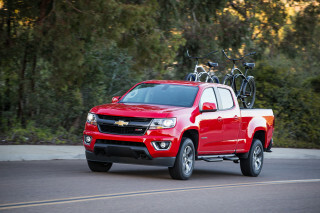 GM offers a baffling array of drivetrains, beds, and models in the new truck. There are eight powertrains, two transmissions (both four-speed automatics), three cab sizes (Regular, Extended, and Crew Cabs), three bed lengths, three trim levels — and that’s just the Silverado, not even including the similar GMC Sierra and Denali pickups, which we’ll review separately. The 2007 Chevrolet Silverado offers a dizzying array of choices to the buyer, which makes choosing the right truck a daunting prospect but also means it’s a rare driver that can’t find the truck to suit their needs. The first and probably most important choice is the basic configuration of the body. 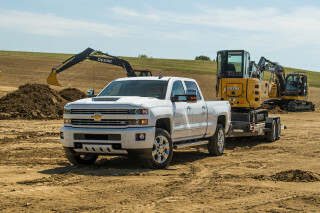 Chevy offers three cab lengths for the Silverado. The Regular Cab has a small cargo area behind the seats, while the Extended Cab has a larger area and a pair of rear-hinged doors for easier access, which GM says are the widest-opening of their kind in the class at 170 inches. The Crew Cab version has four full-size, front-hinged doors. Then there’s the bed. The Silverado comes in three cargo box lengths: 5’ 8” (short), 6’ 6” (standard), and 8’ (long). 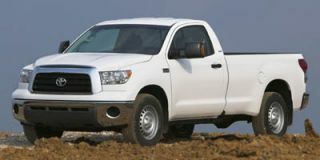 From a brief stint in Extended Cab and Crew Cab versions, the Crew Cab obviously has the most utility, although the long bed is the contractor favorite. Three trim levels are offered on the Silverado too. There’s a WT (work truck? 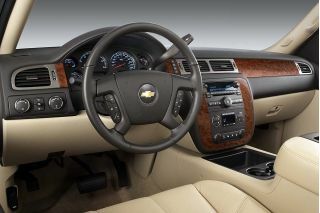 ), an LT, and the plush LTZ version, easily our favorite for its rich-looking trim and design. Will that be a V-8, or a V-8? Engine and drivetrain choices are just as plentiful. Chevrolet offers a range of engines in the Silverado, which run the gamut from an economy-minded V-6 to a class-leading, 367-horsepower, 6.0-liter V-8. The lineup starts with a 4.3-liter, 195-horsepower V-6, available next year. Coming soon too is a 295-hp, 4.8-liter V-8. Two versions of the 315-hp, 5.3-liter V-8 are available — with cylinder-deactivation or with flex-fuel E85 capability. The most powerful engine for the Silverado will be a 367-horsepower 6.0-liter V-8. And diesels are a sure thing, though Chevy hasn’t announced when they’ll be on sale. The 5.3-liter engine with cylinder deactivation powered the truck we drove most of the day outside Phoenix and frankly, 20 mpg wasn’t within reach. We observed fuel economy of about 16 mpg in mixed driving, which still exceeds our last experience in a non-HEMI Ram. 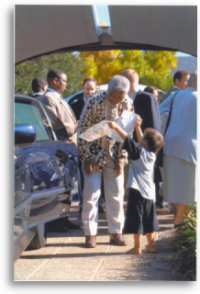 The engine was smooth and powerful, with a ripe engine note. We also drove the 6.0-liter V-8, a muscular piece that would feel right at home in a new Camaro or a rear-drive Impala. 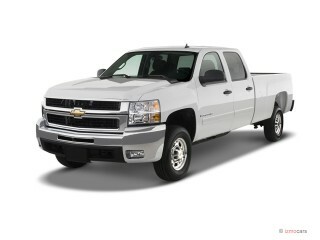 All Silverados use a four-speed automatic transmission. The extra gears of the Nissan Titan are noticeable only at highway speeds, where a few hundred rpm can make the difference in a quiet ride or a loud one. But the Silverado, even with the four-speed, is a responsive performer that doesn’t sound like it’s straining at all, or begging for the additional gear. Where a fifth — or a sixth — gear could help, possibly, is in fuel economy. 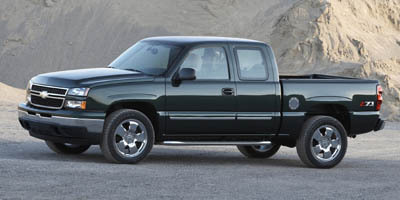 With an entirely new body and lines, the Silverado brings a handsome shape and a talented chassis to the pickup wars. I like the Silverado’s clean, simple styling. 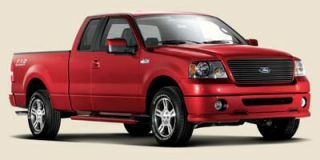 It’s not quite as insistently angular as the F-150, or as comically aggressive as the Ram or Titan. Its Sierra sibling is even more sophisticated and nattily attired, but the Silverado has a smart, conservative look that’s easy to glitz up through the available trim levels and accessories. Out back, the Silverado adopts the multifarious bed ideas from the latest round of pickups. Back in 1998 when the last Silverado was new, the versatility of Nissan’s Titan hadn’t yet changed the game. Now that versatility is the word of the day, the Silverado picks up some of the Titan’s tricks, with a taller pickup box (almost an inch and a half), with a stronger steel for more rugged adaptations. A new cargo management system has been designed in, and its tie-downs and dual rails ensure that any contractor, hunter, or weekend user can outfit their truck to a singular tee. Underneath the skin, the Silverado’s chassis has benefited from stretching and pulling in the right directions. The track is three inches wider in the front, and one inch wider in the rear, for better stability and structural integrity. And GM says the body is 234 percent stiffer to torsional rigidity and 62 percent better against bending than the old truck, and it’s immediately apparent any time you centerpunch a pothole. 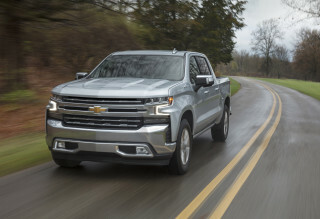 Whereas the old Silverado would quiver and quake for a few ticks down the road, the new truck absorbs the impact and gets on with the road ahead. Tying the body to the ground is a coil and shock front suspension and Hotchkiss rear end, available in five different tunings — from basic to versions geared for off-road, street and towing use. Our street-use package offered up a stable, comfortable ride without too much jounce and with the controlled motions of a linebacker doing Pilates — if not with the accompanying visuals. The Silverado’s brakes and steering deserve special notice. They’re sharper and filled with more feedback than any GM truck yet. Anti-lock brakes are standard — and so is good pedal feel. 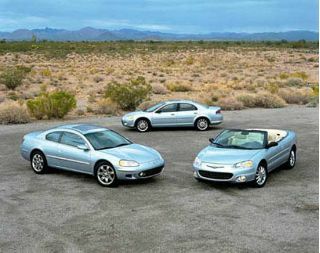 The drum brakes on basic models are replaced with rear discs on the heftiest models, including those with the 6.0-liter V-8 and stability control. 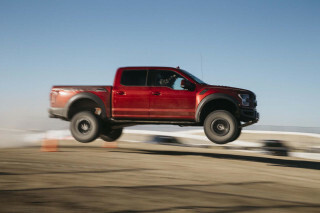 Chevrolet set up a small road course to demonstrate its ability against the competition, and while it reminded us how the Titan steers and how the F-150 handles, the Silverado’s prowess showed up more on the dusty trails north of Phoenix. That’s where its dialed-in feeling made seeing buckboard desert trails a bigger challenge than actually driving over them. With the four-speed automatic and heavy-duty towing package, GM says the 2007 Silverado can tow as much as 10,500 pounds, best in the segment — for now, at least. We’ve heard the new Tundra is substantially higher, perhaps as high as 12,000 pounds. The Silverado also boasts the biggest max payload, at 2160 pounds. The most impressive step forward in the Silverado is, in fact, inside the Silverado. The interior has been revamped and shares its shapes with the new dash on some of GM’s new full-size SUVs. There actually are two different basic interior shapes, with plenty of color and trim versions to be chosen. The “pure pickup” interior gets its own instrument panel and door panels, along with a double glove box. It’s standard on the WT and LT models. Our LTZ tester wore the upscale cabin — a luxurious interior with its own gauges, supportive seats, a single glovebox, a huge console storage bin, and a great sense of tactile quality. The tall, wide center stack offered XM satellite radio and automatic climate control framed by wood trim. The switches felt rich. And the turn-signal stalk moved without the bone-like crack that GM stalks used to make. The list of standard features on the LTZ is long. There’s a great AM/FM/six-CD sound system with an MP3 jack; power locks, windows and mirrors; dual zone climate control; and power front leather seats. The options list is equally impressive. A DVD player for the rear seats docks into the ceiling unit or detaches and can be used elsewhere; there’s also a power sliding rear window, a navigation system, and a two-way remote starter that also supplies information about the car’s vitals, like fuel levels. As for safety equipment, every Silverado comes with dual front airbags, anti-lock brakes, and seatbelt pretensioners. Stability control is standard on Crew Cab models and available on Extended Cabs, while curtain airbags are optional. The Silverado, particularly in LTZ trim, is the full-sizer I’d use to haul drywall to New Orleans, then point it toward Mona Lisa or Irene’s for dinner. Where the F-150 feels built to a price, and the Titan and Ram seem dated with their daring, the Silverado is the quintessential blue-collar pickup done with white-collar style. With a Crew Cab, four-wheel drive, the 5.3-liter V-8 and the short bed, the $38,000 LTZ is indeed pricey for a work truck. But it doesn’t knock off for the day at five. You’d feel fine taking this out to anywhere, so long as the tools in the bed were tucked away and the cab was picked clean of work leftovers. 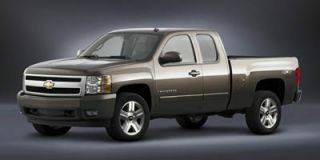 The ’07 Silverado light-duty models are on sale now. 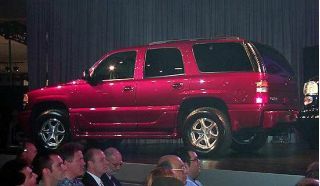 Heavy-duty models are available in the first quarter of 2007. Looking for a different year of the Chevrolet Silverado 1500 Classic?